My great grandmother baked this Christmas stollen recipe every year in preparation for the Christmas season as part of her Christmas baking. The stollen is a traditional German Christmas recipe which is usually baked in a bulk, and gifted to everyone in the family, before the first of December to be consumed over the whole advent period to highlight each Sunday leading up to Christmas eve. 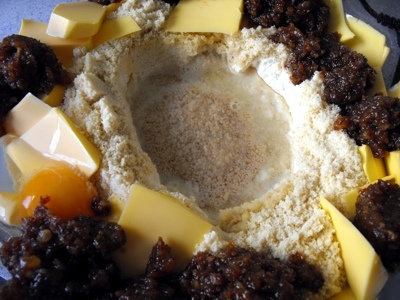 We only recently started baking this popular Christmas bread cake ourselves. Before now it's been more of a childhood memory. Although my grandma makes the stollen without the marzipan in the centre. That is my favourite part and it just wouldn't be the same without it. Traditionally the sultanas are soaked in rum. This time we soaked them just in water to keep it alcohol free. Our family enjoys the flavour of candied citrus peel and it is one of the main flavours in this recipe. Because we love a smooth texture rather than a grainy/lumpy texture we blended it into a paste. This step is optional. My grandmother came up with this trick when my mum was a child because she started to pick out the raisins and the candied citrus peel because of their texture. 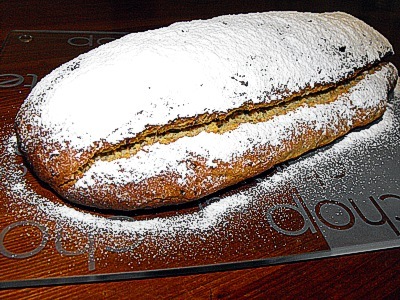 Stollen keeps well and intensifies in flavours over the weeks leading up to Christmas. Grease or line a baking tray with baking paper. With hand held blender, blend the soaked sultanas/raisins and the cup of candied citrus peel. Measure all of the ingredients into a big kneading bowl, starting with the six cups of spelt flour forming a dip in the middle. Then add the teaspoon of sugar and the two teaspoons of yeast into the dip, followed by half a cup of luke warm water. Around the dip add the almond flour and the softened butter with the egg and the blended fruit mix. When the yeast shows a bubbly surface add about another half cup of water and start kneading everything together until it forms a smooth consistency. Set the dough aside in a warm place and let it rise for an hour or two. Prepare the almond paste by mixing four cups of almond flour with one cup of icing sugar and two egg whites and 3 tablespoons of luke warm water. Knead the dough for two minutes and half the dough. Roll one half out on a pastry board, with a longer length than it is wide (forming a rectangle) and about 3 centimetres thick. Half the almond paste and form a roll about six centimetres shorter than the length of the dough and place it into the middle of the rectangle. Carefully lift up the long side of the rolled out dough and cover the almond paste. Lift the loaf up and place it on one half of the prepared tray leaving room for the second loaf. Repeat steps 5-7 with the second half of the dough. Bake for 55 minutes at 180C°. Use a toothpick to check if the stollen is ready. If the toothpick comes out clean it is finished. When baked, take the Christmas stollen out of the oven and let it cool down for about 10 minutes then take one tablespoon of melted butter and brush over the stollen. To finish of dust the stollen with icing sugar. 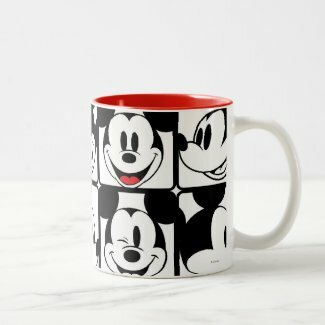 Do you have some feedback to give? Please use the FB plug-in to comment baout the Christmas stollen.